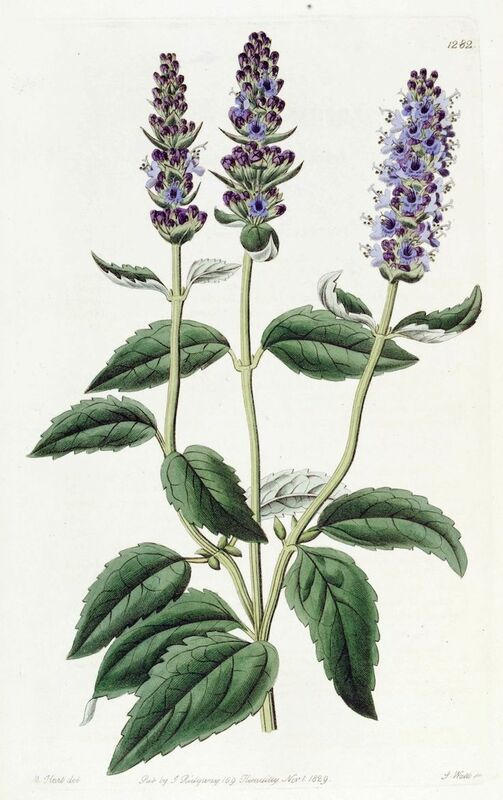 Although they both belong to the mint family, Lamiaceae, anise hyssop or giant hyssop (A. foeniculum) should not be confused with true hyssop (Hyssopus officinalis). 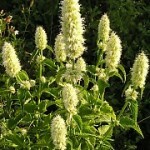 Agastache is from the Greek agan, “very much” and stachys, “ear of wheat”, referring to the shape of the flower spikes. 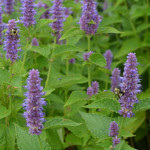 Anise hyssop is a hardy perennial (60cm-1m) with an erect habit. 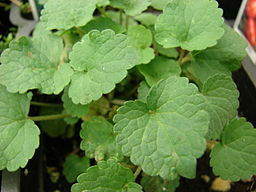 The pointed ovate leaves are soft with a whitish underside and strongly anise scented. Long spikes of purple-blue flowers with showy bracts are borne in late summer. Very similar (and prone to cross-pollinate with A. foeniculum) is Korean Mint (Agastache rugosa). 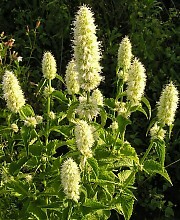 Agastache foeniculum ‘Alabaster’ has white flowering spikes. 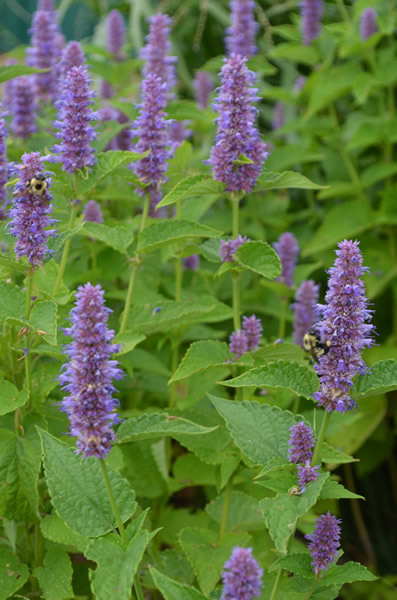 A sunny site with rich and moist soil is best for growing anise hyssop although they tolerate poorer and drier soils. It makes a beautiful tall border and has a long flowering period. 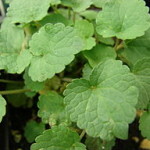 It is an excellent herb to plant for bees, butterflies and nectar-eating birds. Combine with other bee attracting flowers such as bergamot (Monarda, bee balm). Also mentioned as a good companion to roses, French hollyhock (Malva sylvestris) and Japanese anemones. It does well in the herb garden with garlic chives, oregano and thyme. 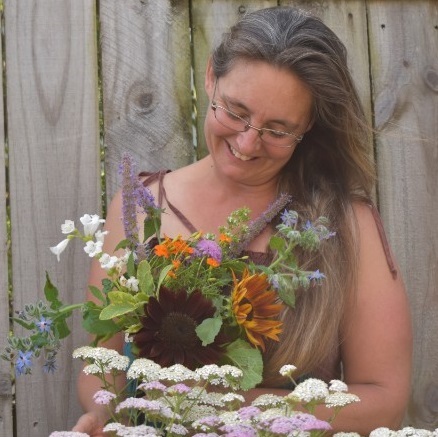 Leaves are harvested throughout spring and summer and flowers in summer to autumn as needed. Culinary: The leaves (fresh or dried) make a delicious tea and the flowers can be added to salads, or used as an edible garnish. Dried leaves are used as a seasoning. Medicinal: Native Americans used the tea as a cough medicine. Household: Leaves and flowers are dried and added to pot-pourris.